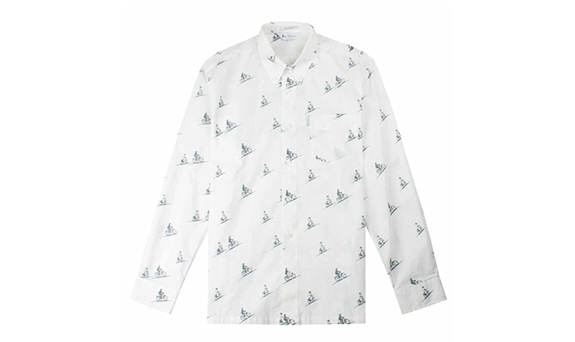 Call it history re-invented; the Ben Sherman Archive Shirt collection is back. The new collection draws inspiration from our iconic prints of the 1960s, 70s and 80s, and each shirt serves as an authentic homage to the original that preceded it. Making up the Archive collection are the Casino, featuring an unmistakable floral print, the conversational motif that characterises the Arthur, alongside the timeless paisley print of the Vega. Read on to discover why these iconic designs will continue to turn heads. With its origins in the 1970s, the Casino features a classic floral print inspired by the kitsch interiors of the working class, famously captured by renowned photographer Martin Parr in his series called ‘June Street’. Filmed in Salford, the series documented the lifestyles of the working class in the 60s and 70s, and we reissue this shirt in homage to the instigators of the Northern Soul movement - and their amazing wallpaper! In 1960s Britain, Paisley was the word. From The Beatles to Bohemia, the over-sized teardrop design became a staple of shirting pattern and was a mainstay for more than two decades. Back in brilliant style, the Vega is modelled on Ben Sherman’s original early 80s interpretation of the design, in winter tones that characterise the style of the decade. This new version of a true classic will turn heads wherever it appears. An original 1970s edition of the Arthur was recently discovered in the Ben Sherman archives, and its unique print set our designers’ hearts racing and their creative juices flowing. 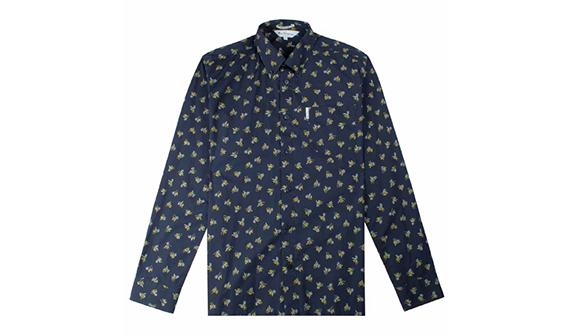 The perfect complement to Ben Sherman’s Northern Soul-inspired collection, the Arthur features a playful, stylish monochrome bicycle pattern, in black, printed onto a crisp white shirt. 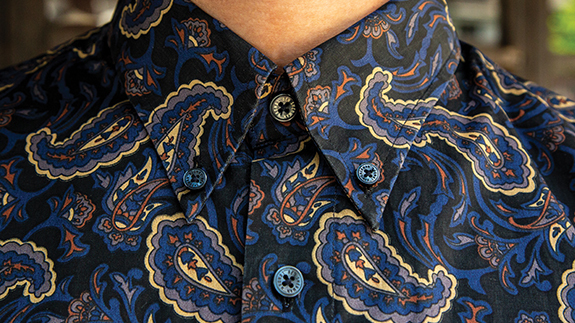 The result is a shirt that demands attention and delivers timeless style in abundance.